Maximum City in association with Dillon Consulting developed and implemented a community consultation program for the proposed Columbus Centre/Dante Alighieri Catholic Academy Intergenerational Community Hub in Toronto’s Dufferin-Lawrence neighbourhood. The consultation program engaged over 1000 total participants through a variety of methods, including workshops, focus groups, a website, and online survey. Click here to download the consultation report. Maximum City was part of a diverse consultant team responsible for the City of Toronto’s TOcore Communications and Engagement Plan, led by Swerhun Facilitation. TOcore is a multi-year, interdivisional study looking at how growth can positively contribute to Toronto’s downtown. Maximum City played a key role in public facilitation and the development of online and in-person engagement tools, including the #DTadvice video (with over 30,000 YouTube views). Click image at right to view the #DTadvice video. 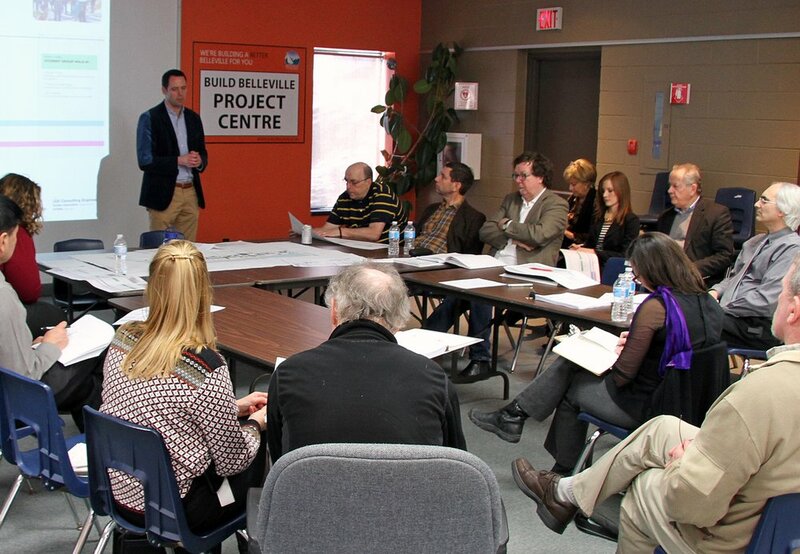 Maximum City was the public consultation lead on the City of Belleville’s $21-million downtown revitalization process, 2013-2014. Maximum City was hired as part of the broader Office For Responsive Environments team specifically for its expertise in engaging diverse groups in the consultation and design process.